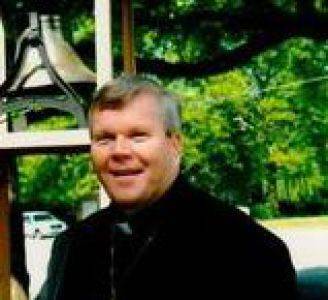 Born in Wilmington in 1951 and raised in St. Elizabeth Parish, Fr. Tom earned a history degree from the U of D & a Master of Divinity from St. Mary’s in Baltimore. He was ordained in 1977 and named an honorary alumnus of St. Cyril & Methodius Seminary in 1987. He has pastored St. Hedwig, St. Joseph, & St. Polycarp and came to St. Jude on June 24, 2015. Former President of the Old Bohemia Historical Society, Fr. Tom chaired a pilgrimage committee for the Millennium Jubilee. He is a member of the National Historic Trust & Civil War Trust and has been involved with Holocaust education. He supports the VFW, DAV, Wounded Warriors, & the USO. Fr. Tom is a Life Member of the Knights of Columbus & State Chaplain of the Columbiettes. A life member of the NRA, he belongs to Conservative Caucus of DE and 2 think tanks--Heritage Foundation & Caesar Rodney Institute. He supports Judicial Watch & Catholic Vote and is a member of Fidelis & DE Family Policy Council. He supports the Catholic League for Religious & Civil Rights and St. Thomas More Law Center. Faith & Freedom Coalition of DE honored him as a “Good Shepherd” in 2012. A patron of Ave Maria, Franciscan U, Wyoming Catholic, & Hillsdale College, he supports FOCUS. Fr. Tom is a benefactor of Clear Creek Abbey in Oklahoma & Glenmary Home Missioners and the Catholic New East Welfare seminarian program. He supports Priests for Life, Birthright of DE, Pregnancy Help Center in Dover, A Rose and A Prayer, and 40 Days for Life. Our pastor is Bishop’s Liaison for Charismatic Renewal and hosts an annual conference in Ocean City, Md., every Oct. He is active in ecumenical efforts. Fr. 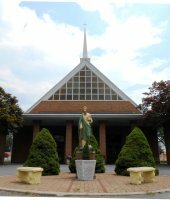 Tom is a member of the John Paul II National Shrine in D.C. & the Pope John Paul II Foundation in Rome and belongs to the Polish American Cultural Center in Phila. He belongs to the Vatican Observatory Guild, the Ancient Order of Hibernians, and the Cardinal Cooke, Father McGivney, & Fr. Baker Guilds. He is working on a book about future American saints.